He's a wild card, all right! 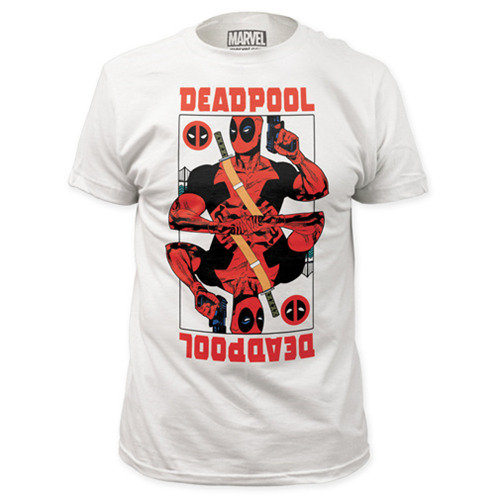 Wade Wilson appears as Deadpool in a playing card image on this sensational Deadpool Wild Card White T-Shirt. Order yours in size S, M, L, XL, or XXL.